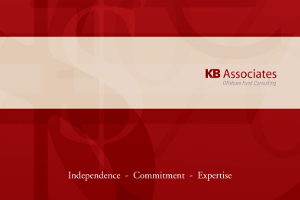 KB Associates is an independent consulting firm dedicated to meeting the needs of investment funds and their promoters. 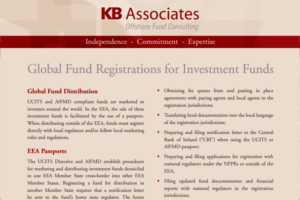 KB Associates provides experienced independent directors to serve on the boards of investment funds and management companies in all of the major fund jurisdictions. 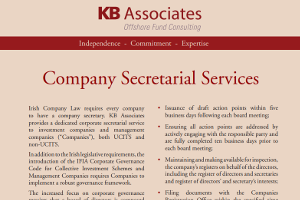 Since its inception KB Associates has provided investment funds with independent directors meeting the most stringent corporate governance standards. 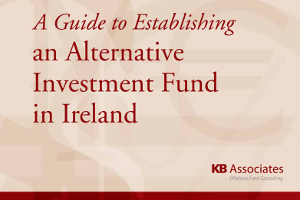 KB Associates has for many years been unique in promoting the view that fund directors should be economically independent of each other and that it is essential for directors to be independent from key service providers such as administrators, custodians and prime brokers. KB Associates’ consulting business model supports this view by not accepting mandates from administrators, custodians or prime brokers. 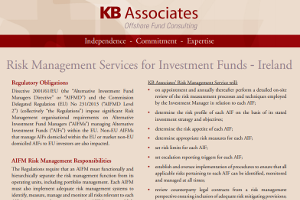 Furthermore, KB Associates is entirely independent of all legal, audit and other professional advisory firms. 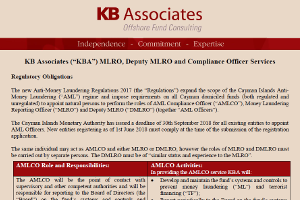 The governance standards long promoted by KB Associates are now increasingly required by both regulators and investors. High profile fund failures and frauds have turned the spotlight on the corporate governance of funds across all jurisdictions. Regulators and investors alike are scrutinising the composition and profile of fund boards with increasingly stringent due diligence being performed by investors on individual directors. It is imperative for investment managers to ensure that, as part of a quality corporate governance structure, fund directors meet the highest professional and ethical standards. The appointment of truly independent, non-conflicted directors is in the best interest of both fund investors and investment managers. Both parties benefit from objective advice and decision making, especially with regard to the oversight of fund service providers. 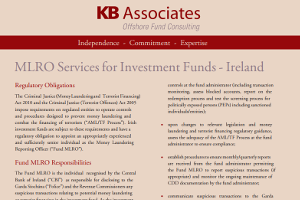 KB Associates’ independent directors currently serve on the boards of investment funds and management companies in all the key fund jurisdictions including Ireland, Cayman Islands, Luxembourg, Bermuda, BVI and Mauritius. KB Associates’ independent directors bring a wealth of diverse experience to the fund boards they serve. Our directors’ backgrounds include fund operations, custody, prime brokerage, legal, fund administration and audit with specific expertise in areas such as ETFs, financial statement production, risk management and compliance. 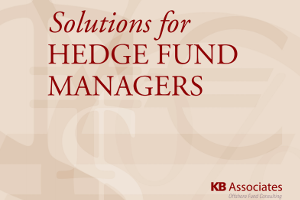 KB Associates’ independent directors provide one facet of a well-diversified fund board. 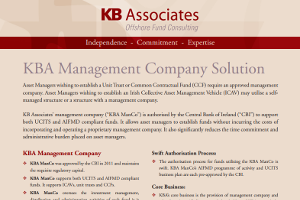 KB Associates’ directors maintain complete independence in the funds industry. Neither the firm nor any individual director accepts mandates from administrators, custodians, prime brokers, legal advisors or any other fund service providers. 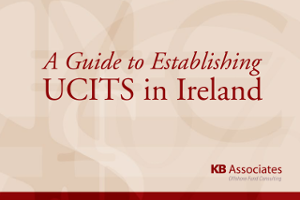 KB Associates advises clients to appoint directors who are independent from each other in order to ensure that clients benefit from a diversity of views. KB Associates’ independent directors act in the best interests of investors, which includes overseeing investment managers’ actions. 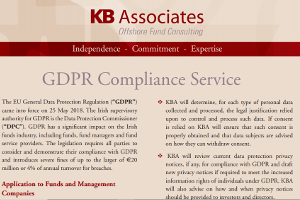 While safeguarding the interests of investors is paramount KB Associates’ directors also provide advice and guidance to investment managers on governance issues where appropriate. KB Associates’ independent directors are highly professional and qualified individuals, carry out their duties in accordance with industry standard best practices and act with sound judgement and probity at all times. KB Associates provides directors with real expertise who are genuinely independent and free from potentially significant conflicts of interest. KB Associates’ independent directors devote significant time to professional development and maintenance of industry knowledge. They also commit substantial time to each director role. 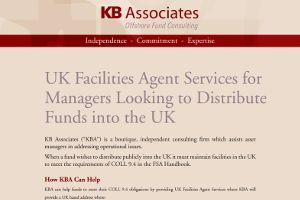 This commitment ensures both technical expertise and an in-depth knowledge of each client’s business enabling KB Associates’ directors to make a valuable contribution to the funds they serve.